If you like sunny weather, it looks like Saturday will be the best day of our Northwest weekend. That’s a bonus if you’re headed to Tillamook on the Oregon coast for a Teardrop Trailer Gathering. 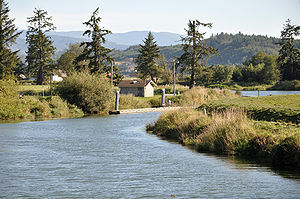 To get ready for the trip, squidknot visited TearDrops NW in Salem at your suggestion. Sales Manager Jon Homquist took us on a tour that started in the parking lot with his personal trailer. His goal was to build as small and light and possible. Mission accomplished. The trailer weighs in at 560 pounds. 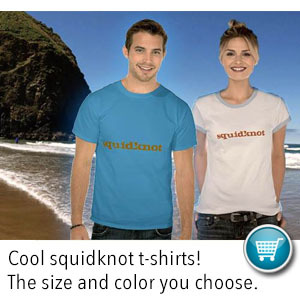 Look for the guy in the squidknot hoodie Saturday in Tillamook. That’d be me. Would love to see your trailer and maybe get a few Dutch Oven cooking tips, too. Do you have a great Dutch Oven recipe to share? Leave it in the “comment” box below. And thanks to Jen Workman who sent us photos of their home-build that just got done. The interior shows it all coming together. Bet the first Teardrop didn’t have this: LED inside and out. Dan the builder is checking the fuses. The blue LEDs are sweet. Working on the Galley. We think a big “squidknot” decal would add so much. Check out our Events page for links to more info about the Trask River Teardrop Trailer Gathering. I would forgo the kitchen on the foldout part, instead having a portable blogging platform complete with 45″ computer screen and compartments for Cheetos and Mt. Dew.